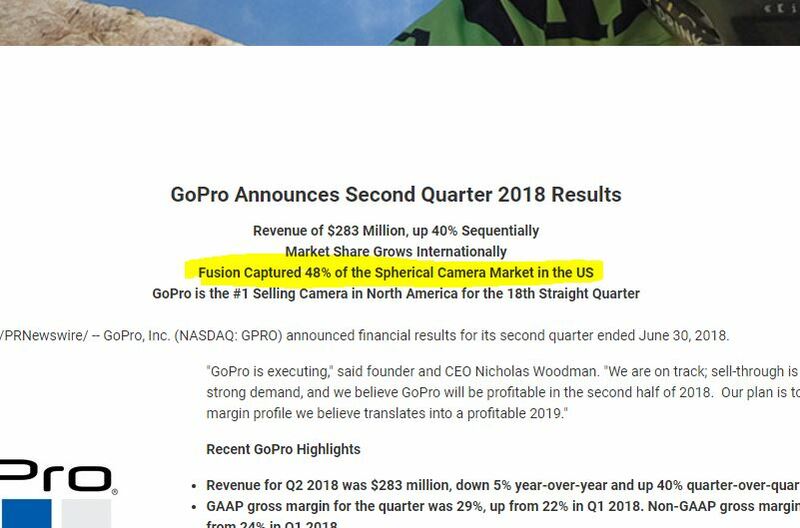 GoPro Fusion (reviewed here) took 48% of the 360 market in the US, measured in terms of dollar value of sales, according to GoPro, based on data from NPD Group. 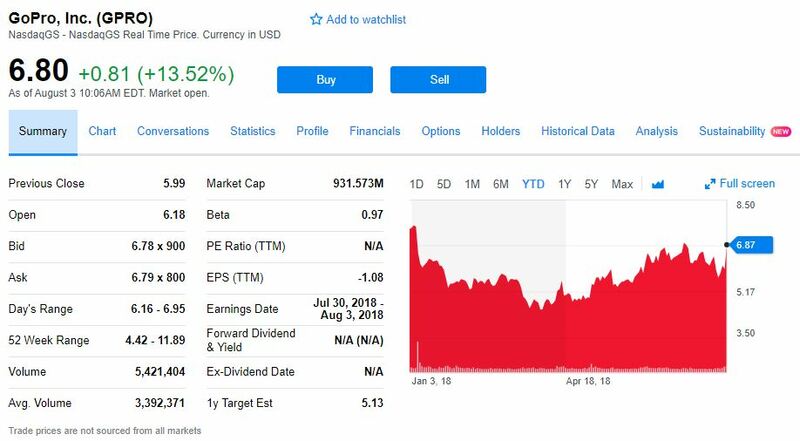 That’s what GoPro said in its earnings call yesterday, along with other positive developments, resulting in a 13.5% surge overnight in its stock price as of the time of this writing, and erasing almost all of its loss for 2018. Notably, Fusion’s market share does not take into account sales outside of the US, presumably including online sales of cameras such as Xiaomi Mijia Mi Sphere and Insta360 One from sites such as Gearbest. Nonetheless, it is an impressive achievement. Hopefully this means that GoPro will pay more attention to the Fusion, and possibly prioritize improving its mobile app. GoPro Fusion has been very well received by the 360 camera community despite criticism from some non-360 reviewers, earning my recognition for the best video quality for consumer 360 cameras (to date), one of the best consumer 360 cameras for photography, and therefore best overall consumer 360 camera. 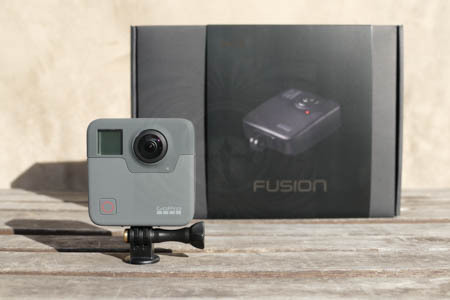 While I’m glad that Fusion is doing so well and might just save GoPro from what seemed like a certainty of bankruptcy, I’m very happy that you’re keeping it real. Fusion is an expensive camera. I love GoPro. I love seeing people use Heros like small camcorders at events. The stabilization on those suckers is good enough to go handheld with the tiny cameras. I’ve got an upcoming video done with a 360° 3D camera that might require supplemental shots from a Hero5 Black. On vacation this week, but standby for major 360 camera news!